Don't be fooled by impostors!!! Others may look the same but only Hot House Turtles Calcium & Vitamin Bites and Vege Bites will carry the Hot House Turtles branding. By using Hot House Turtles Calcium & Vitamin Bites and/or Vege Bites can we ensure your Turtles are getting the correct levels of Vitamins including Vitamin D3 required for their everyday wellbeing. Hot House Turtles Calcium & Vitamin Bites offer a convenient method of ensuring that your Turtle has access to correct Reptile Vitamins including Vitamin D3. Turtles will nibble on Hot House Turtles Calcium & Vitamin Bites as it is a convenient way for them to gain additional vitamins and minerals. This is not only very important for fast growing juvenile Turtles but also for adult females during the laying season. But don't worry if your Turtle doesn't nibble on the Hot House Turtles Calcium & Vitamin Bites as they will slowly dissolve and will be absorbed by your Turtle as he drinks. Hot House Turtles Vege Bites are back by consumer demand. Hot House Turtles Vege Bites not only contain pure Spirulina, but they also contain all the essential Reptile Vitamins that are in our Calcium & Vitamin Bites. 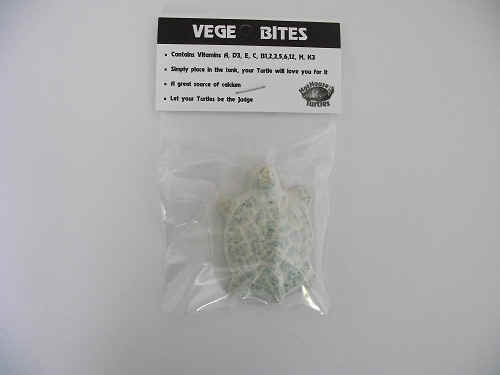 Vege Bites are perfect for offering your Turtle a change from the traditional Calcium & Vitamin Bites. The Hot House Turtles Calcium & Vitamin Bites are available in two convenient sizes, large and small, and Hot House Turtles Vege Bites come in the larger size only. 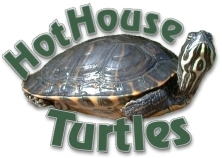 Hot House Turtles Calcium & Vitamin Bites & Vege Bites are proudly made right here in Napier, New Zealand by Hot House Turtles Limited, and are available from all quality pet stores throughout New Zealand.